Women in the United State face a greater lifetime risk of breast cancer than any previous generation, with rates having tripled during the past 40 years. 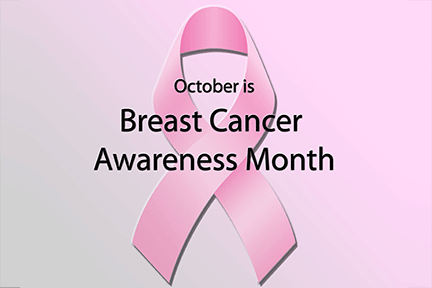 Contrary to popular belief, only about 5 percent of women diagnosed with breast cancer have a link to the “breast cancer gene”. We know that there are contributing factors that increase breast cancer risk including having children late in life and early onset of puberty. Exposure to radiation from chest x-rays during childhood and taking hormone replacement therapy are also known risk factors along with alcohol abuse, tobacco and second hand smoke. 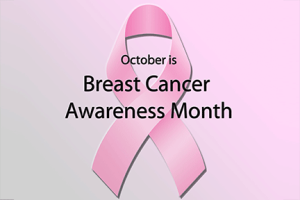 Breast cancer rates are higher in women who are obese, and women who gain excess weight during adulthood. Yet, the vast majority of women will never know the cause of their disease. As pink ribbons and fundraisers continue to raise awareness around the breast cancer “epidemic” this month, finding the “cure” has become a comforting concept. Pink is everywhere. While all of these efforts are with good intention, we need to ask ourselves serious questions about pink ribbon marketing. How much money from pink ribbon products go to real breast cancer prevention? And, is it possible to find “a cure” in today’s world without addressing the environmental triggers? Since the 1970’s, more than 85,000 synthetic chemicals have been added to our environment while only 7 percent have been tested for effects on human health. And, since the 1970’s, close to $200 billion has been spent on research for new treatments for cancer, while rates have continued to rise globally. According to the World Health Organization, cancer is a leading cause of death worldwide and the total number of cases is projected to increase 45% from 2007 to 2030 “unless prevention efforts are not put into place”. Today, only 3 percent of all funds for cancer have gone toward research in primary prevention: stopping the disease before it starts. The Susan Komen Foundation, to fulfill its promise to end breast cancer forever, has invested an estimated $1 billion in breast cancer research to date and aims to invest another $1 billion over the next decade. While research and new treatments are needed, it is time that the funds raised from Passionately Pink for the Cure begin to address environmental links associated with the increased risks for breast cancer. Prevention requires addressing the real issues surrounding the global increase in breast cancer incidence. Public health education, corporate responsibility, and governmental regulation of harmful chemicals must be included in addressing rising rates of cancer. According to the latest research, cumulative toxic exposures often beginning in utero show clear links to increased risks for breast cancer later in life. Research also links the role of the environment to the rise in testicular, prostate and childhood cancers as well as increased reproductive problems and infertility rates, chemical sensitivities, allergies, autoimmune diseases, and early onset of neurological diseases including Alzheimer’s and Parkinson’s. Yet, we do not have public health campaigns to address these issues. The current health crisis offers the opportunity for each of us to reevaluate our current lifestyle and explore how our culture has evolved into the “better living through chemistry” mentality promoted since the 1930’s. Baby boomers can remember the clever better living through chemistry television campaign by Dupont back in the 1950’s. Fast forward, we now live in a chemical stew; from the products we put on our bodies, to the water we drink, the food we eat, and the air we breathe. What we are exposed to on a daily basis is beginning to shed light on this epidemic affecting younger and younger women… and men.. There is increasing evidence that some synthetic chemicals in our environment may interfere with our bodies’ complex and carefully regulated hormonal messenger system. Chemicals can disrupt the endocrine system in several ways. They can mimic or block chemicals naturally found in the body, alter hormonal levels, and thus, affect functions that these hormones control. Less direct interferences involve alteration of the body’s ability to produce hormones, interference with the ways hormones travel through the body, and changes in numbers of receptors. Global research estimates that a women’s cumulative exposure to estrogenic compounds including hormone mimicking chemicals that permeate our environment may be responsible for up to 50% percent of all breast cancers today. The degree of alarm within the scientific community concerning the dangers of hormone disrupting environmental pollutants is also apparent in a report released this past year by the Health and Environment Alliance (HEAL), a European umbrella group of non-governmental research organizations. This report directly questions the growing tendency to label breast cancer a lifestyle and genetic disease. “We will not be able to reduce the risk of breast cancer without addressing preventable causes, particularly exposure to chemicals,” said the author of the paper, Andreas Kortenkamp, who heads the Center for Toxicology at London University’s School of Pharmacy. Recent research on breast cancer includes increased risk from exposure to the pesticide DDT before puberty, and exposure to the plasticizer, bisphenolA (BPA) in utero, both implicated increased breast cancer risk in adult life. Mounting research implicates multiple chemical exposures and a cumulative toxic body burden with increased cancer rates in both animals and humans. A recent study by the Center for Disease Control and Prevention indicates that Americans of all ages carry a body burden of at least 148 chemicals, some of them banned for decades due to their toxicity. Alarmingly, newborn cord blood studies show evidence that at birth, an infant already carries a multitude of synthetic chemicals acquired in utero. We recall the DES debacle and its consequences, resulting in cancers in the children and now grandchildren of women who took this hormone in early pregnancy. Yet, the chemical industry continues to state that the evidence is lacking regarding human harm in small doses while research continues to document the synergistic effects of combinations of chemical exposures over time. The full effects of endocrine disruptors are still a long way from being fully understood as they have only been around for a few generations. While research continues, the evidence points to a clear connection. Scientists and advocacy groups are leading the way on informing the public and advising use the precautionary principle while demanding health policy actions and regulation of chemical industry. To compound the problem of our toxic environment, we have refined and processed away much of the nutritional value of our food supply and replaced it with imitation foods lacking protective phytonutrients that can filter, neutralize, and detoxify many of these potentially harmful chemicals. Products too often are filled with artificial colorings, preservatives, flavorings, and many unlisted industrial ingredients. Our modern poor quality diet, combined with agricultural pesticides and animals being raised on antibiotics, chemical feed, and growth hormones, may have predisposed many of us to experience a toxic body burden, stressing our body’s ability to detoxify and eliminate these products. According to Dr. Walter Willet at the Harvard School of Public Health and the American Institute for Cancer Research, a recent review of 4500 scientific studies concluded in a 650 page report that 40% of cancers are avoidable. The document states, “The bottom line: eat a plant based diet, maintain moderate weight throughout life, and get some exercise”. The good news is that cancer can be reduced by avoiding or lowering exposures to environmental toxicants as well as by optimizing our immune surveillance systems and cellular energy metabolism with nutritional intervention strategies. Choose your food wisely- eat as organically as possible, and limit animal fats as endocrine disruptors and heavy metals accumulate in the food chain. The higher your animal protein source, the greater the potential toxics load. Choose seasonal and local foods. Fish consumption: Large deep water “fatty” fish like tuna and swordfish may contain high levels of synthetic chemicals and heavy metals, so eat them infrequently. Wild caught salmon and cod are better choices. Avoid Pesticides – if you can’t buy all organic food, try to pick and choose. Certain crops are more heavily sprayed than others. The Environmental Working Group data base (www.ewg.org) offers guidelines on the fruits and vegetables containing both the highest pesticide residues and the lowest. Produce containing the highest pesticide levels include: peaches, apples, bell peppers, celery, nectarines, strawberries, cherries, lettuce, grapes, pears, spinach, and potatoes. Wash all fruits and vegetables thoroughly before consuming, or peel them if they are not organically grown. Supplement your nutrition. Take a broad spectrum daily multivitamin, containing essential fatty acids and antioxidants to ensure rich nutritional and support for your body’s optimal functioning. In today’s world, we strongly recommend supporting your body with the essential tools it needs to function optimally particularly when it is challenged on a daily basis by so many synthetic substances. Unfortunately, much of our food supply is contaminated, shipped long distances and lacking the necessary nutrients, even when we think we eat well. Nutrients that have substantial research for supporting breast health include: Vitamin D 3, Cruciferous vegetables including broccoli and watercress, high in glucosinolates and sulforaphane, green tea, curcumin, alpha lipoic acid, and resveratrol. Support your body’s natural ability to detoxify by exercising and sweating on a regular basis. Use a sauna or steam bath. Get regular sleep (you detoxify at night) and drink plenty of filtered water. Consume plenty of fiber found in your whole grains, beans, vegetables, fruits, seeds (flax) and nuts. Drink antioxidant beverages like green tea containing antioxidants that can assist the body to rid itself of toxins. Other researched protective antioxidants include pomegranate, blueberry and raspberry juices. Become an environmental detective– investigate the chemicals in your home, work, and community environments. Know your water supply. Find out whether your local community’s water testing program checks for hormone- disrupting chemicals and heavy metals. Not all household filters work effectively on chemicals and, unfortunately, not all bottled water is checked either. Read your water quality reports. If you drink purified water out of plastic bottles, do not leave the bottles in your car or the hot sun for any length of time; heat activates the molecules in the plastic, which increases the rate at which the polycarbons leach into the water. Avoid using plastics. If you do, the safest plastics are marked with the recycling codes 2, 4, and 5. Never let infants chew on soft plastic toys and never microwave food in a plastic bowl or covered in plastic wrap. A good rule of thumb is that the softer the plastic, the more chemicals. Buy in bulk and store foods in glass jars. Reuse hard plastic tubs. Limit use of plastic bags and cling wrap products. Assess the amount of plastic in your life and try to reduce it by five. For example: Bring a reusable mug to your local coffee stop. Buy a refillable glass or earthenware water jug. Invest in glass food storage containers that can be washed and reused for a lifetime. Use reusable cloth totes for groceries. Exercise your rights as a consumer– never doubt the power of consumer demand. Ask for green products when you don’t see them in your neighborhood stores. If you have a talent for organizing and recruiting people, use it to develop community ordinances regarding the use of chemicals in public places. It took a while to legislate no-smoking areas; hopefully “chemical-free” will not be far away. Encourage our youth to learn more about environmental issues and to pursue research into redesigning our future. Become a community Advocate-Support local and federal clean air and water initiatives. Write to your local and state representatives and encourage them to vote for a healthy future. Support elected officials who make a clean environment their priority.